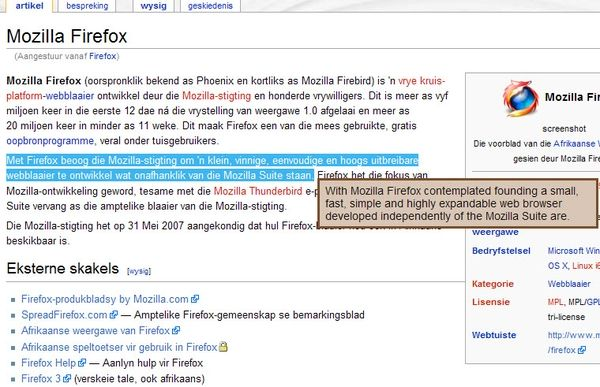 Save Images can be accessed from either the Firefox Tools menu, the context menu (right click in page) or from a button placed on a toolbar (recommended – requires placement by user). Clicking the button will save the images using the Option “Default Save Action”. Click the arrow next to the button to display a menu for more options. Zooms thumbnail pictures from Facebook, Twitter, MySpace, Amazon, Picasa, Flickr, LinkedIn, Hi5, Twitpic, deviantART, PhotoBucket, Tagged, Last.fm and Wikipedia! High definition image enlargement. Imagiris uses a new technology for picture enlargement that preserves details accurately. 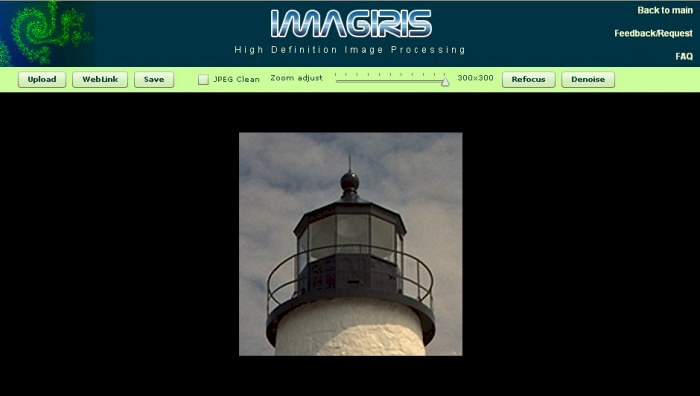 This is an add-on to directly pass your images to Imagiris for high definition zoom. Imagiris uses a new technology for picture enlargement that preserves details accurately. Just click on a image and the image will be passed to the Imagiris flash application for enlargement. 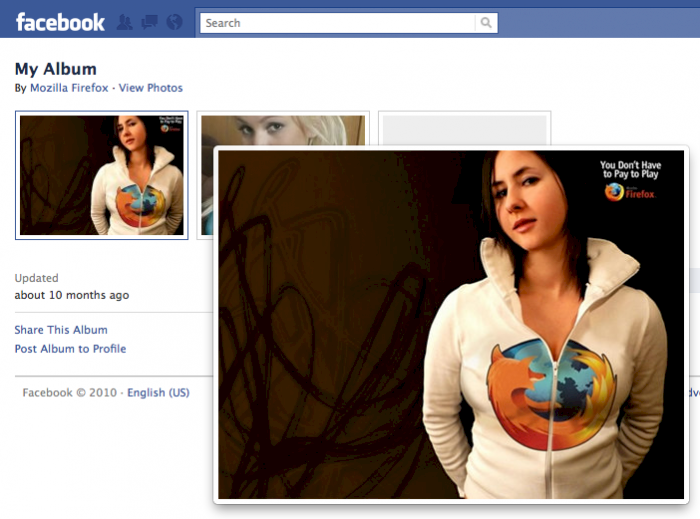 Turn Firefox into an image editor using Picture2Life – Choose from hundreds of cool effects, create collages or animations! Edit any image directly from the browser… this is perfect for sites like Google Image Search, Yahoo Image Search, Flickr, MySpace, Facebook, Twitpic, Imageshack, etc. On a very sad note, one of our blogger friends, Cherlyn Cochrane has lost her Great Grandfather, Robert Phillip Ramey. Mr. Ramey was 91 years old and passed on December 5th. Please at your earliest convenience, stop by Cherlyn’s site and pay your respects to her. She wrote a poem, dedicated it to him and posted it today. She also gives a little bit of information about her great grandfather and the impact his life had on her family and the world. Thank you for showing Cherlyn kindness at this time of grieving. that only you could fill. we wish you were here with us today. if only things didn’t end this way. we will always remember you as our friend. Rest in paradise till we meet again. Quick Translator allows you to translate between more than 50 languages with a hot key or click of a mouse. 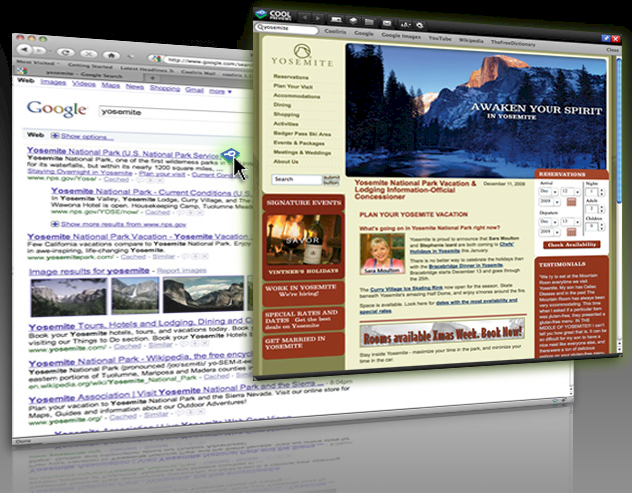 Yoono is a powerful but easy to use sidebar for Firefox that helps you simplify your online social life by connecting you to Facebook, MySpace, Twitter, LinkedIn, YouTube, Flickr, Friendfeed, AIM, Yahoo IM and more…all in one place. Yoono is also the easiest way to share stuff with all your social networks – share links, images and video from the page you’re viewing across all your networks simultaneously. Connect to all your social networks and never miss another status update from friends or family. You’re connected wherever you are on the web. All your IM services right in your browser sidebar to easily chat while your surf the web – no more logging on to multiple services. Easily share links, images, and video from the page you are viewing with all your social networks at the same time. 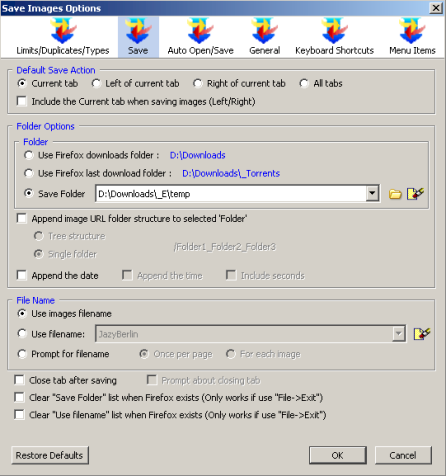 This addon allows you to right click on a pic while browsing in Firefox to upload it to PicsOrLinks.com. If you are logged into PicsOrLinks.com at the time it will be added to your account. 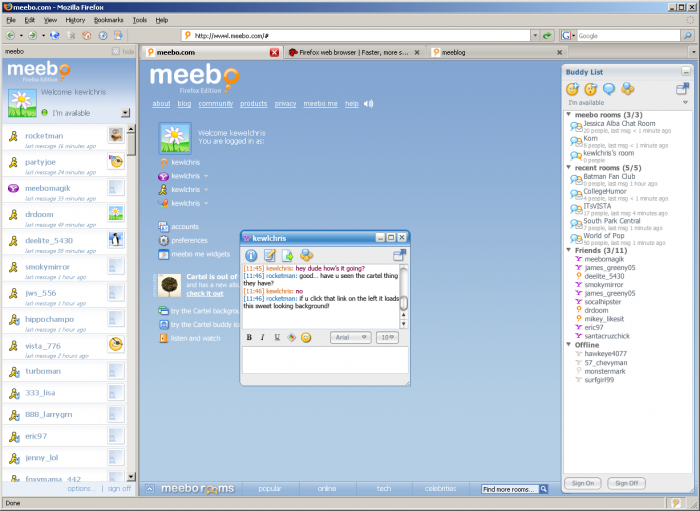 Instant messaging across all major IM networks built right into Firefox. Get a sidebar with all of your buddies visible while you’re browsing. Get visual notifications when your friends IM you. 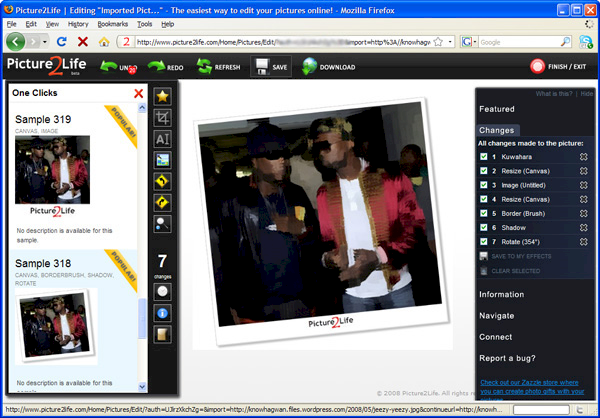 Drag and drop links and images from web pages right onto your friends! 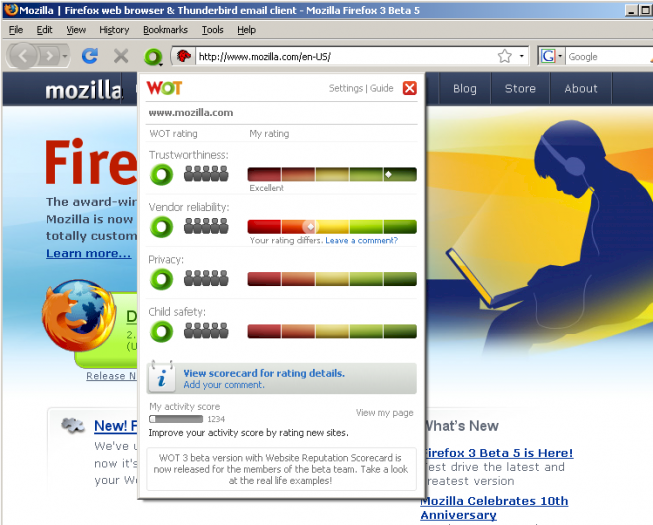 Winner of the “2006 PC World World Class Award”, this tool provides extra protection to your Firefox. You can add and/or remove websites, you don’t want to visit ever again, via the BlockSite Preferences. You can open this window by clicking on the options button of BlockSite in Tools > Add-ons menu, or by clicking on the Preferences item in the context menu of the extension in the Extension Manager. 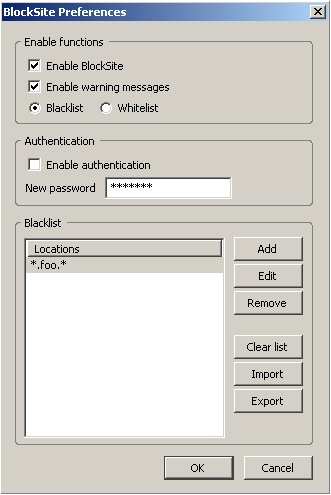 If you want to block, for example, a lot of Microsoft websites, you can use the following line: “http://*.microsoft. *” and “http://microsoft. *” The * symbol indicates that there may be zero or more random characters at that place. You can import and export lists of locations via the ‘Import’ and ‘Export’ buttons in the ‘BlockSite Preferences’ window. The first line in the file you want to import has to be the ‘[BlockSite]’ in order to be read succesfully. Don’t want the boss to catch you surfing the Web on company time? Don’t want your teacher, classmates, roommate or significant other to see the Web sites you’re viewing? With Panic Button, a single click of a toolbar button will quickly hide all Firefox windows — bring them back by clicking a button on the Restore Session toolbar. The Panic Button action can also be invoked by pressing F9 (Command+F9 on the Macintosh). 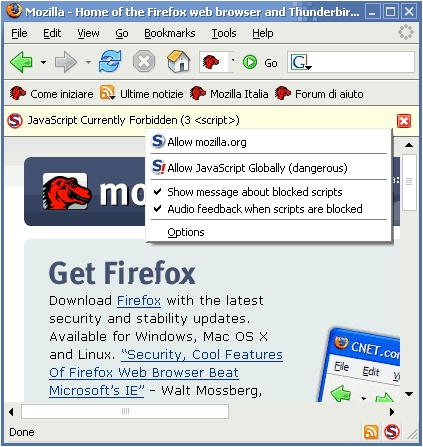 After installing Panic Button, add the Panic Button button to the browser toolbar by choosing View -> Toolbars -> Customize on the Firefox menu bar, then dragging the Panic Button to the desired location.